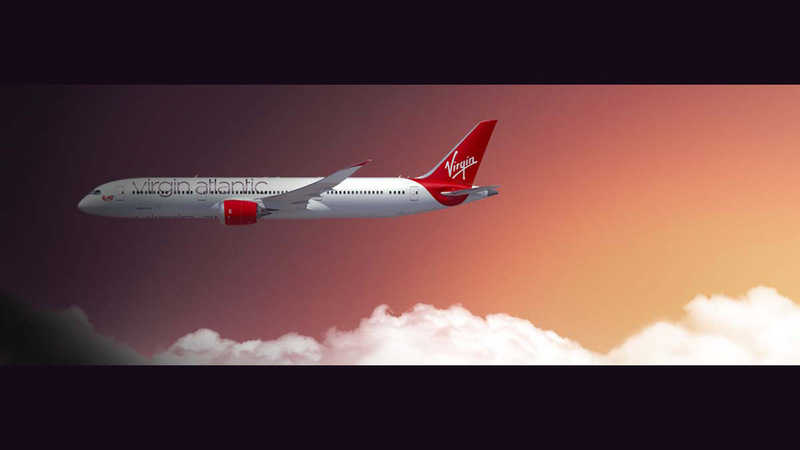 As part of Territory's ongoing relationship with Virgin Atlantic, the team was asked to create a series of animated art pieces to compliment the Upper Class bar environment of their new fleet of Dreamliners. 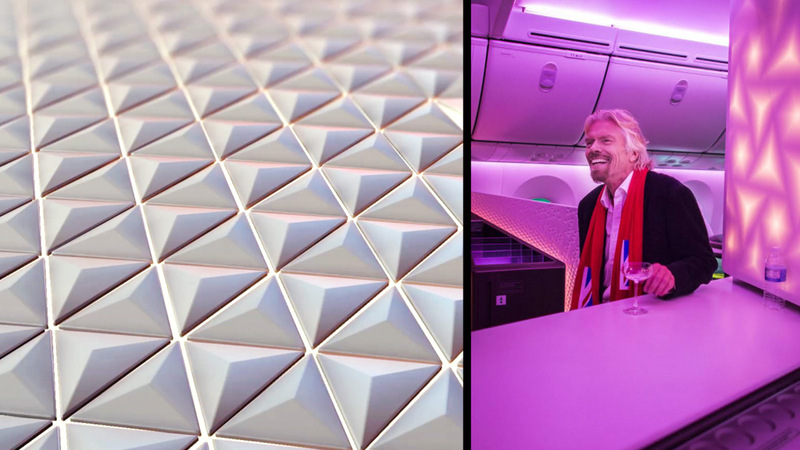 Virgin Atlantic’s fleet of 787s sets the benchmark for in-flight service and comfort, with a range of thoughtfully designed features that enhance the travel experience. Within this context, the Upper Class bar is a dynamic social hub where passengers can meet, connect, work, dine, drink and relax. 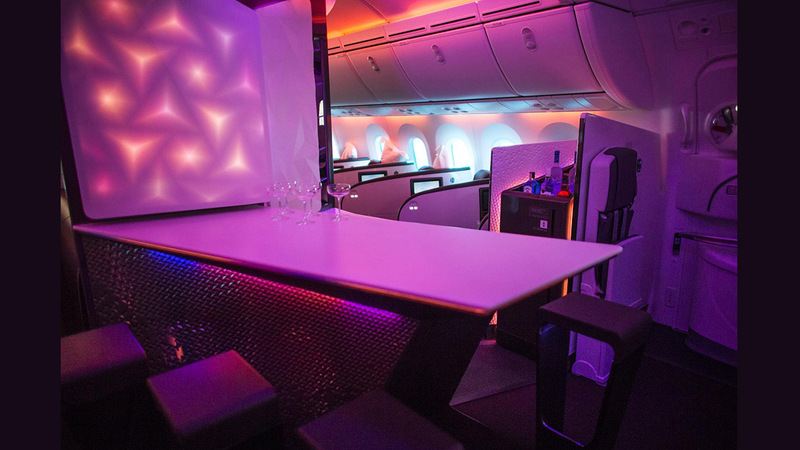 With the aim to support and celebrate the philosophy of a ‘live’ and digitally connected aircraft’, we created a moving canvas of digital art that harmonises with architectural elements, lighting themes, and Vera, Virgin’s in-flight entertainment system, allowing the bar area to visually evolve through key stages of the passenger journey. 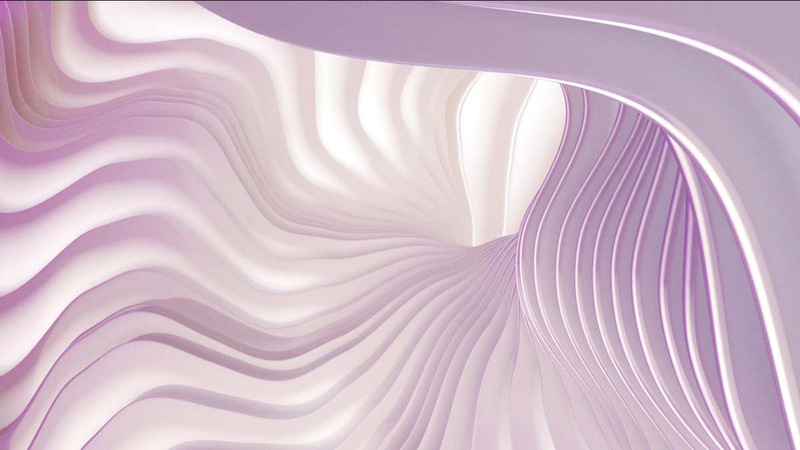 Careful attention went into ensuring that the abstract animations were presented to passengers in a gentle and positive way, through light, textured form and movement. 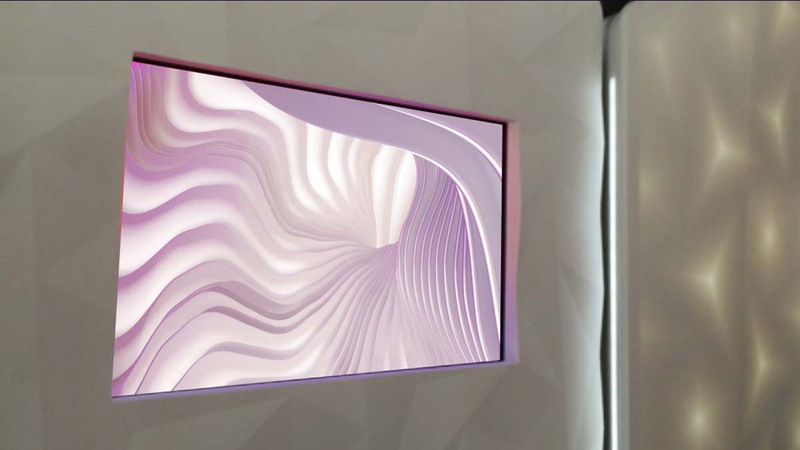 Featured on an embedded wall screen in the bar area, Territory’s animators worked closely with Virgin Atlantic’s lighting specialists to balance the adjustable on-board lighting with the CGI light settings within the films to ensure seamless transitions between journey phases. 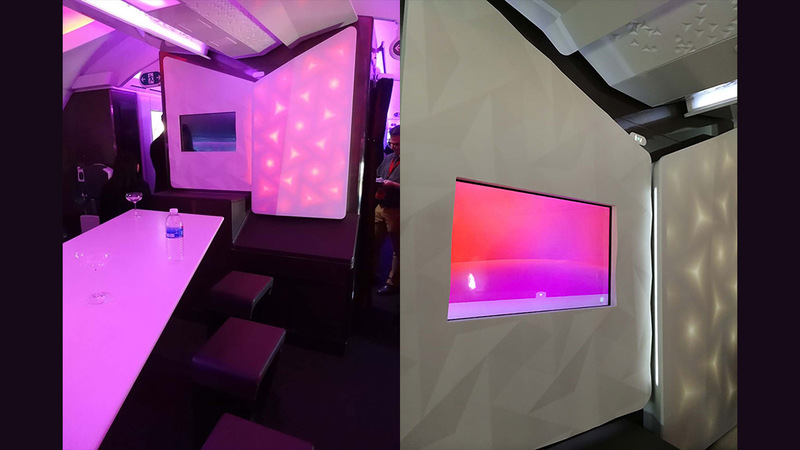 We’re delighted with how well these animations enhance both the space and the in-flight experience. It was essential to the success of the project that they harmonise with the various cabin elements, while also supporting key moods throughout journey, and Territory’s series of animations achieve everything we had hoped.